Sam specialises in cut and blow dry, and her real niche is short hair – she loves it. She feels that cutting and styling short hair is the most creative part of her job, and while other stylists achieve stunning effects with colour, for Sam it’s the cutting every time. 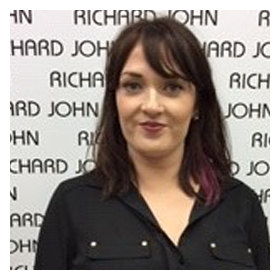 Having begun her career at Richard John as a Saturday girl, Sam gets a buzz from being part of a busy salon, and our philosophy of a personalised approach to customer service.